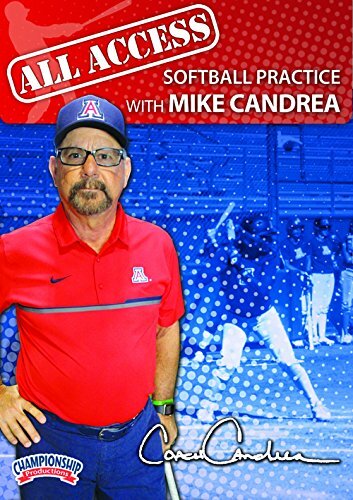 Mike Candrea provides exclusive in-depth access to four days of practice with the University of Arizona softball team. Coach Candrea introduces you to the general practice structure he uses and the philosophies and techniques that he integrates into every workout. You will also see how the team focuses its strength and conditioning program toward building softball players who are more complete athletes. This all access video shows you how to maximize game-like repetitions of all facets of the game in every practice drill. The coaches' open mics allow them to actively commentate on the drills, sprinkling in coaching tips along the way. You'll also get to hear them strategize through different situations.